My feelings about gravel bikes were mixed. I never warmed up to the idea of drop bars and off-road. This combination only offered limited attraction to me, but I was proven totally wrong since I started working on this project. It is the nature of gravel riding, fast and adventurous at the same time, which ultimately changed my mind, and the Wild About Argyll Trail delivers exactly that. 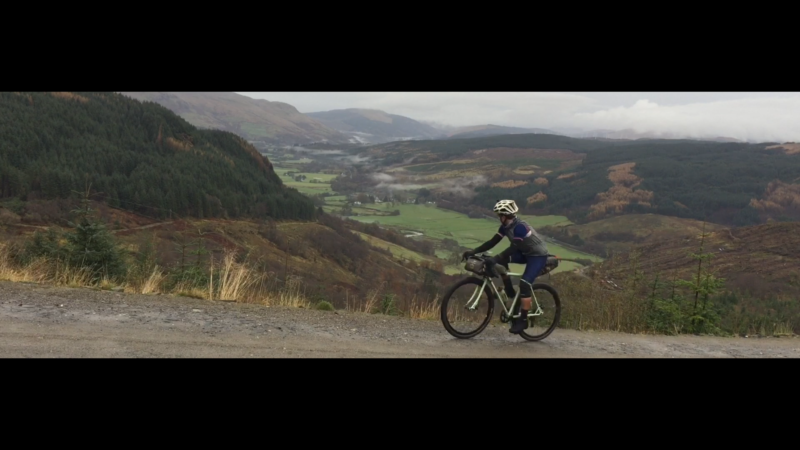 Wild About Argyll was filmed on an iPhone and a drone while riding the trail for the first time. Although the weather was a challenge as frequent rain made it difficult to capture the footage, I think this film portrays well what riding on the West Coast of Scotland is about. There’s nothing polished in the film. For me riding in Scotland is not about sunny, blue skies every day, it is much more about exploring those dense forests, waterfalls, streams and the beautiful coastal scenery and hills in all weather conditions that Scotland has to offer. Find out more and download the route as GPX here.